Time for local fine food, time for Tradition Julen. 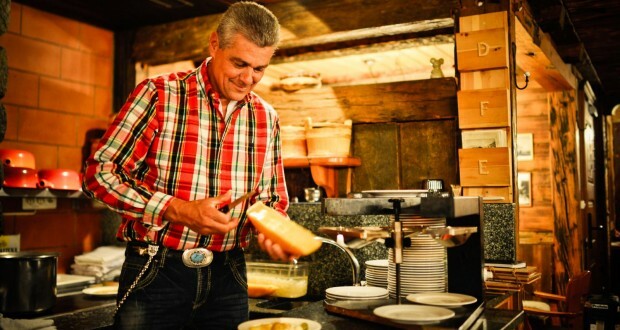 The tastes of the Valais: raclette, cheese and meat fondue and Zermatt lamb specialties from the charcoal grill. The rustic Schäferstube is the most traditional of all seven Julen guest establishments – without being the slightest bit old-fashioned. Modern, contemporary, varied, charming and simply delicious. A cozy atmosphere, lots of wood and sheepskin, paired with hearty, local cuisine. Innkeeper Paul Julen reflects in this rustic-cozy “Stübli” his two great passions: hospitality and the pastoral life. His enthusiasm for choice Valais wines, good food and his own sheep herds warms the hearts of the guests and everyone soon feels like a regular. Make sure to reserve a table early!